Meet Merit Expenses – A smarter way to manage your company expense claims. Merit Software is proud to announce the launch of its new Business Expenses Management System – Merit Expenses. Developed in conjunction with several PLC organisations, Merit Expenses addresses the need for complex approval chains across different teams and offices. For businesses that are struggling to manage the company expenses process and accounts teams that are losing valuable time working through paper receipts, Merit Expenses is designed to speed up the turnaround time of business expense claims and save business money each month. With you, everywhere you go. 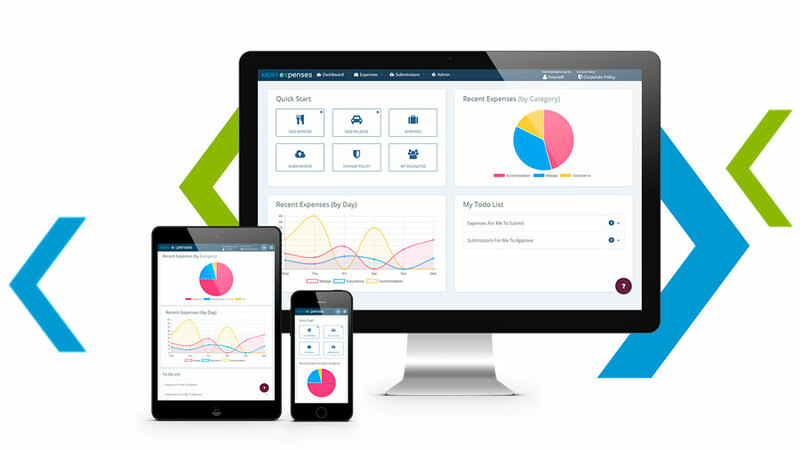 Merit Expenses is fully cloud-based, meaning that it works seamlessly across mobile, tablet and desktop devices. Staff are no longer constrained to submitting expenses from the office and have the ability to capture, edit and submit business expense claims wherever they go. What sets Merit Expenses apart from other solutions is its ability to cater for complex approval chains, meaning that it can handle multiple policies across multiple office sites, perfect for larger business who process a large number of monthly expenses. With one of the most powerful approval chains on the market, Merit Expenses provides an easy to use visual approval chain of staff allowing you to view your organisations sign off levels “at a glance”. Of course, Merit Expenses is not just designed for larger companies. Smaller businesses are able to save valuable time and money each month with a system that allows them to free up more time to focus on their business. If you would like to take advantage of a 1 Month Free Trial of the system simply click here. Our team of experts will get you set up with a bespoke dashboard that allows you to get up and running instantly. The system is designed to be user-friendly with no training required, but should you need any advice, our team of experts are on-hand to provide guidance on how to use the system. We hope you enjoy Merit Expenses. Merit Software is the leading supplier of payroll and invoicing solutions for temporary recruitment agencies and umbrella companies. We provide scalable software to suit all recruitment agencies from multi-branch corporates to new-starts.